In this podcast I will answer the question: How can I get money out of my IRA before age 59.5 without a 10% penalty? Deposits into an IRA are tax deductible. Right on the front page of your tax return you put in the amount of your contribution and deduct it from your income. When you take money out of your IRA you pay income taxes on that money. If you take it out before you turn 59.5, in general, you need to also pay a 10% penalty. At age 59.5 you can take money out of an IRA without a penalty. At 70.5 you need to start taking money out each year. The amount depends on the balance on 12/31 of the previous year and the life expectancy at that time. For a 71 year old, the life expectancy is 17 years. The distribution would be your balance on 12/31 divided by 17. There are two ways to avoid the 10% penalty and withdraw money from your IRA before turning 59.5: they 72T or if you qualify for a hardship rule. 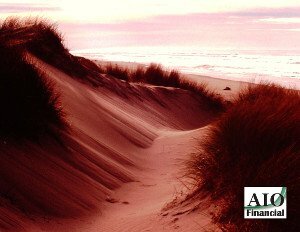 An Internal Revenue Service (IRS) rule that allows for penalty-free withdrawals from an Individual Retirement Account (IRA). The rule requires that, in order for the IRA owner to take penalty-free early withdrawals, he or she must take at least five “substantially equal periodic payments” (SEPPs). The amount depends on the IRA owner’s life expectancy calculated with various IRS-approved methods. There are three ways that you can determine the amount of the distribution from your IRA, and all three are based upon the balance of the IRA account and your age. The first method is the simplest, known as the Required Minimum Distribution method. The Required Minimum Distribution method for calculating your Series of Substantially Equal Periodic Payments calculates the specific amount that you must withdraw from your IRA (or other retirement plan) each year. The calculation is based upon your account balance at the end of the previous year, divided by the life expectancy factor from one of the following three tables: the Single Life Expectancy table, the Uniform Lifetime table, or Joint Life and Last Survivor Expectancy table, using the age you have reached (or will reach) for that year. This annual amount will be different each year. The second method is called the Fixed Amortization Method. Calculating your annual payment under this method requires you to have the balance of your IRA account, from which you then create an amortization schedule over a specified number of years. The number of years for your calculation is equal to your life expectancy factor from either the Single Life Expectancy table, the Uniform Lifetime table, or the Joint Life and Last Survivor Expectancy table, using the age you have reached (or will reach) for that year. In addition, you will specify a rate of interest of that is not more than 120% of the federal mid-term rate published by regularly the IRS in an Internal Revenue Bulletin (IRB). The third method is similar to the second, called the Fixed Annuitization Method. Calculating your annual payment under this method requires you to have the balance of your IRA account and an annuity factor, which is found in Appendix B of Rev. Ruling 2002-62 using the age you have reached (or will reach) for that year. Again, you’ll select a rate of interest of that is not more than 120% of the federal mid-term rate published by regularly the IRS in an Internal Revenue Bulletin (IRB). Health insurance premiums – The caveat is that you must be unemployed for 12 weeks. To leave a clean trail just in case of an audit, open a separate bank account to receive transfers from the IRA and then using it to pay the premiums only. First-time home-buyers – the maximum amount you can withdraw without paying the penalty is $10,000 ($20,000 for a couple). Higher education expenses – It can be for yourself, your spouse, children, grandchildren, immediate family members. Typically it will cover books, tuition, supplies, room and board and for post-secondary education. Passing to heirs – if you die before age 59.5, the money can pass to your heirs without penalty.